"The increase in minimum wages this year produces a mere psychological effect." 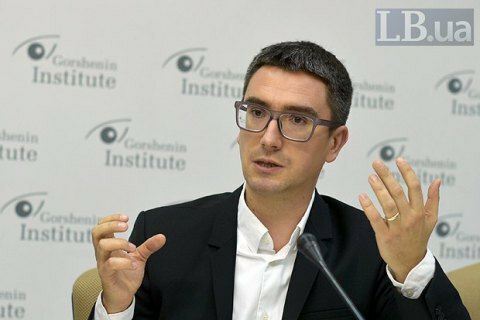 The increase in minimum payments did not have an immediate economic impact on inflation in Ukraine, but rather created a psychological effect, head of the Center for Economic Strategy, Hlib Vyshlinsky, told a 15 December round table conference at Gorshenin Institute on the economic results of 2017. The expert believes that the current situation in the country's economy is reminiscent of the 90th "when the government printed money and increased minimum wages to buttress its popularity." "By increasing the minimum wage the government, first of all, aimed to boost the revenues of social funds. In fact, it was an increase in the taxation of those enterprises that pay wages in a shadow way and, in fact, boiled down to the redistribution of the profits of the owners of such enterprises in favor of citizens who receive services from the state," said Vyshlinskyy. The policy, the expert believes, did not work for state enterprises, particularly those working in small settlements. He cited the head of the national postal operator Ukrposhta. In a recent interview Ihor Smilyanskyy said that although postal workers in small settlements have minimal workloads, they cannot be paid less than the minimum wage. Meanwhile, their colleagues with higher qualifications also started demanding a rise in salaries. The rise in the minimum salaries thus triggered an accelerated growth in wages and operational costs, the economist said. "Such a situation would be normal if there was an influx of foreign investment in the country, Vyshlinsky said. In addition, the outflow of Ukrainian workforce to neighbouring countries will exert additional pressure on the growth of wages in the country. "In Poland alone, we are talking about millions of Ukrainian workers," the expert warned.